The idea of a "nerd bar" isn't new. You'll find examples of them all over the world, many of them with a distinct gaming slant. But many are also a little too one-dimensional. Games are great, duh, but they're not the only thing in the world. 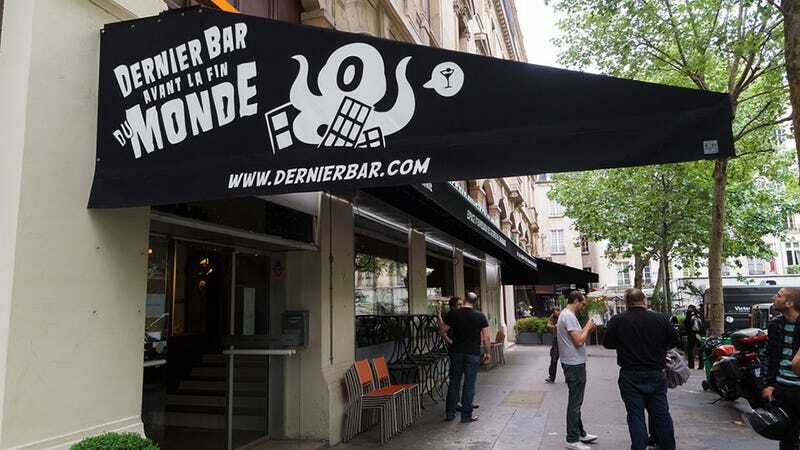 So were I in Paris, I'd be sinking my Euros at Le Dernier Bar Avant la Fin du Monde ("The Last Bar Before the End of the World"), a bar that throws together everything from Star Wars to Blade Runner to tabletop games to Tron to The Simpsons, all under the one roof. I dare say if you read this site, you'd feel right at home knocking back a Kronenbourg or three.